Useful Technology for your Kitchen! 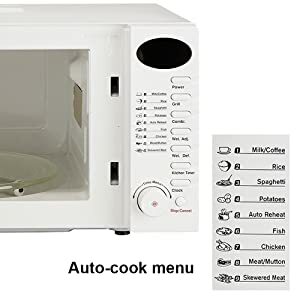 Nowadays in every urban home, there is a microwave oven that helps you to bake or cook food without constant supervision. 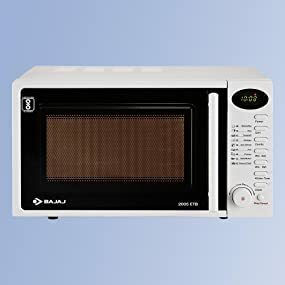 This microwave oven from Bajaj is equipped with 9 auto-cook options that help you to whip up daily cuisines without any hassle! 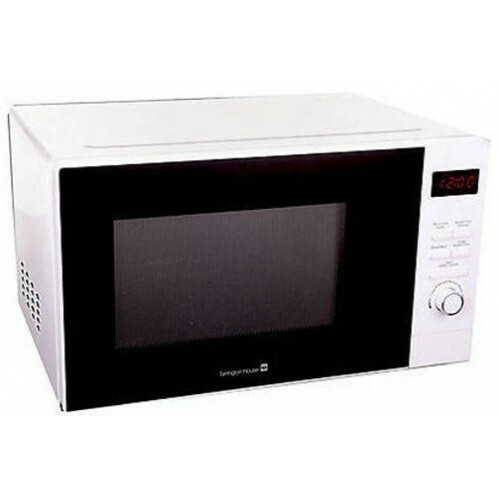 The microwave oven has a capacity of 20L which can accommodate various dishes with ease! 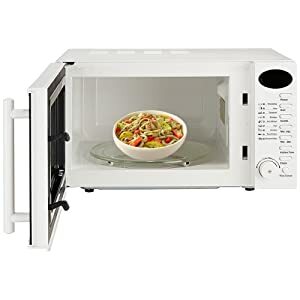 This microwave oven comes with a grill option which helps you to grill chicken and fish and create healthy dishes. 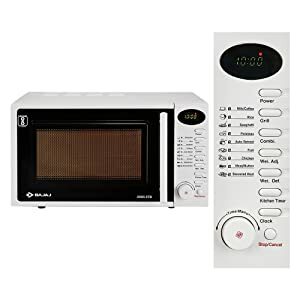 This microwave oven comes with a digital timer which keeps track of the time once you set it according to your requirements. This feature lets your multi-task as there is no need to manually monitor the cooking/baking session. 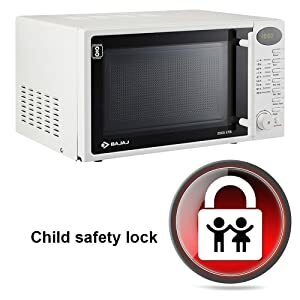 This microwave oven comes with a child safety lock which keeps your child safe even if he/she tries to play with your microwave oven while it is switched on. This Bajaj microwave oven comes with dedicated buttons for making beverages like milk/coffee. Additionally, there are options for cooking rice, spaghetti, potatoes, fish, meat/mutton and skewered meat dishes. 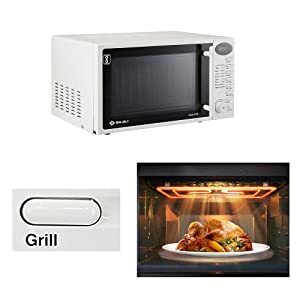 This microwave oven comes with power, grill, combination, Wei. Adj., Wei. 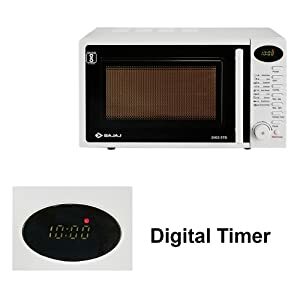 Def., kitchen timer and clock options. Cook your food according to your personalised preference with this microwave oven from Bajaj!